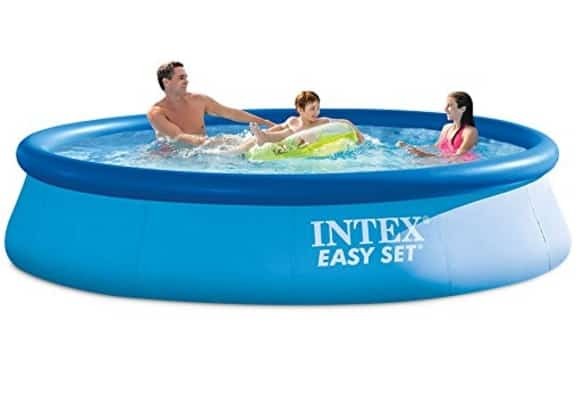 Today only you can find Intex Easy Set Pools is on sale for up to 50% off or more at Amazon. The Intex 12ft X 30in Easy Set Pool Set with Filter Pump is on sale for $55.52 today! That is over 50% off the regular list price of $119.99! A 110-120 volt filter pump is included and is very easy to install – just hook up the hoses and enjoy clean refreshing watr. Ready for water in 10 minutes – simply spread out on level ground, inflate the top ring, fill the pool with water and enjoy the fun!